There is nothing quite like getting away and having everything out of sight and mind to help me look at things in a new light. It’s so much easier to see something with a fresh eye after I have been away from it for a while. I’ve just returned from a 3 week traveling spree of two completely different trips back to back. Both trips fun, relaxing, hectic and exhausting all at the same time. So nice to get away and so nice to be back. New ideas and directions are popping in and out of my head. 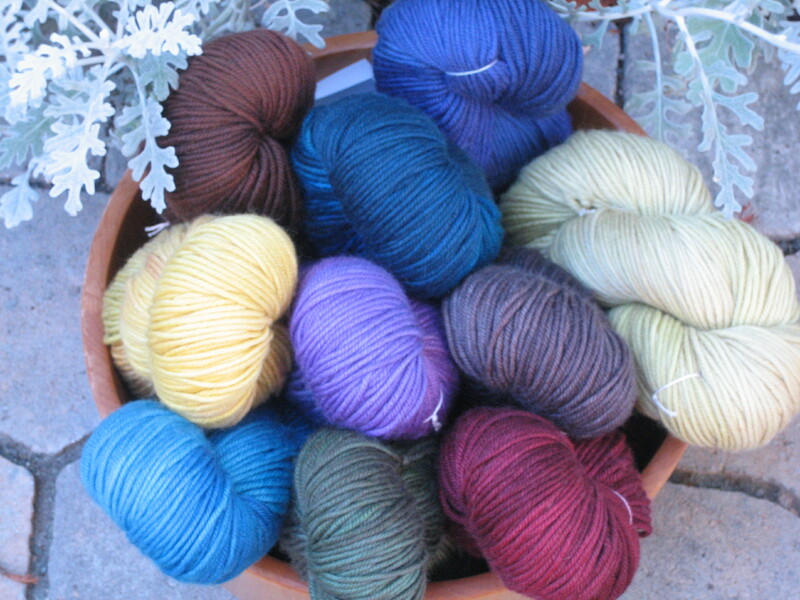 I’m putting all the So-Soft Dk (wonderful 80% merino, 10% cashmere, 10% nylon 4ply Dk weight superwash) on sale, 25% off for the Fall. While supplies last…….great for heavy socks as well as scarves, mitts, hats, vests and sweaters.